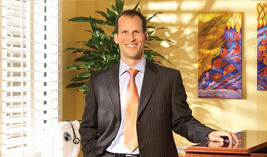 If you are in the Naples, Florida area and are interested in concierge or boutique medicine, then you will want the personalized medical care of Doctor Madwar. Concierge or boutique medicine offers tremendous advantages over the traditional method of health care delivery. It is similar to the benefits of aggregating your finances and planning your portfolio with your entire financial picture in mind. Concierge medicine, and doctors who administrate them, give you more control, greater access and more attentive treatment when needed. Concierge or boutique medicine programs are often structured as membership programs that charge an annual fee. Since the number of member-patients is limited, you’re ensured more access, more time with the doctor and more attentive personalized medical care. Because there are no insurance companies or other third parties making determinations about what services, medicine or treatment options are covered, you and your doctor have more choice in what is best for you and your family. As your “medical concierge,” your doctor can coordinate everything for you, oversee treatment programs and hospital stays, schedule and remind you of appointments, investigate answers to medical questions, determine what specialists (if any) would benefit you and consult with you on remaining healthy and active. Best of all, this can be done no matter where you are, at home or traveling. Dr. Madwar’s concierge practice represents the ultimate in convenience, freedom and effectiveness of personalized medical care.